GENEVA, Jul 30 2018 (IPS) - States around the world must act now to strengthen their efforts to prevent and combat trafficking in human beings, including by ensuring that victims and potential victims are considered and treated as rights holders. Many people who fall prey to traffickers are migrants, including refugees and asylum seekers, who have decided to leave their country for various reasons, such as conflict, natural disaster, persecution or extreme poverty. They have left behind their social protection network, and are particularly vulnerable to trafficking and exploitation. In the current poisonous anti-migration political atmosphere, migrants are often targeted as a threat, while in reality they contribute to the prosperity of the host countries where they live and work. In this context, the anti-trafficking discourse is often misused to justify restrictive migration policies and push-back activities. Taking a stand against xenophobic and racist approaches, as well as violence, hatred and discrimination, is a moral duty which is in everyone’s power. States have an obligation to prevent trafficking. It is a gross human rights violation. In the context of the Global Migration Compact, States should establish – in addition to international protection schemes – individualised procedures and appropriate indicators to identify migrants’ vulnerabilities to trafficking and exploitation, and provide them with tailored solutions to prevent further harm. In many countries, human rights activists and civil society organisations have been criminalised and ostracised for acting in solidarity with migrants and victims and potential victims of trafficking. All over the world, civil society organisations are playing a pivotal role in saving lives, and protecting people from trafficking, during search and rescue operations, and on arrival in transit and destination countries. Any attempt to delegitimise their humanitarian work is unacceptable. NGOs also play an important role in the identification of victims of trafficking. This is essential for ensuring access to protection and rehabilitation for victims, and should be prioritised, including during large mixed migration movements. Identification and referral to protection services is only a first step, which must be followed by innovative action to promote social inclusion. This can only be possible if exploitation, especially labour exploitation of migrant workers, ceases to be normalised and the right to the enjoyment of decent work, with fair pay and conditions, is respected and guaranteed to everyone, regardless of their migration status. On World Day Against Trafficking in Persons, my message is that, even in difficult times, inclusion, not exclusion, is the answer. 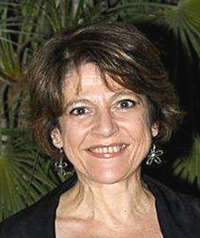 *Maria Grazia Giammarinaro (Italy) was appointed as Special Rapporteur on trafficking in persons, especially women and children, by the UN Human Rights Council in June 2014, to promote the prevention of trafficking in persons in all its forms, and to encourage measures to uphold and protect the human rights of victims. She has been a Judge since 1991 and served as a Pre-Trial Judge at the Criminal Court of Rome, and currently serves as a Judge in the Civil Court of Rome.